A little while ago, Goose (aged 9) asked if we could spend more time together crafting. 1. Tear up your paper serviettes into small pieces. 2. Paint the mod podge glue both underneath and on top of the serviette. 3. 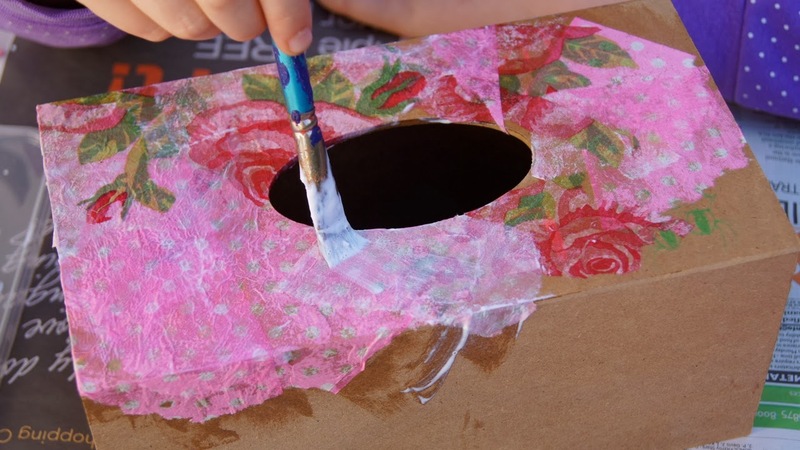 Continue to cover the box with serviettes and mod podge until completely covered. 4. Depending on the thickness and colour of your serviettes you may have to do lots of layers like we did. Allow time to dry in between layers. When Frog saw what Goose had been doing, of course she had to have a go too! She had a cardboard letter A that we had also purchased from Spotlight and so decorated that. 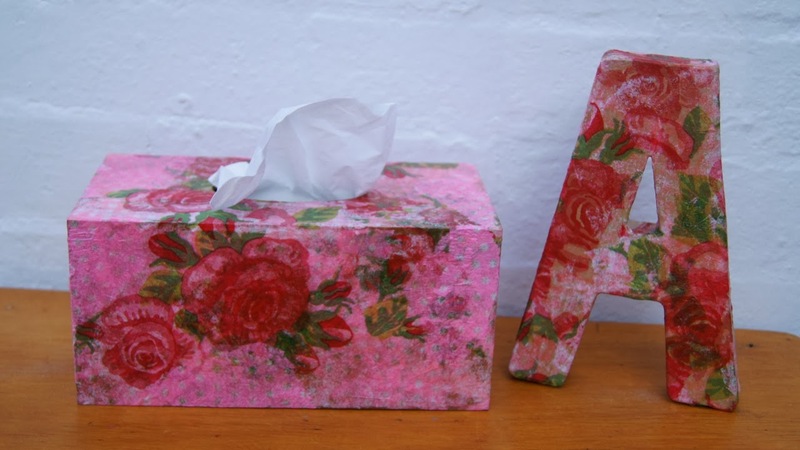 You can decoupage anything! You can see that she did less layers on hers, but it still looks fine. Both girls love having theirs on display in their room. Are you good at spending regular one on one time with your kids? 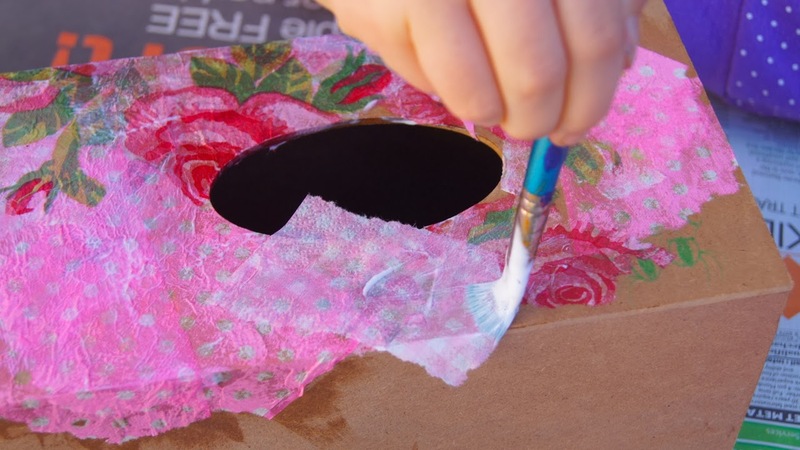 Do you decoupage? Any tips? 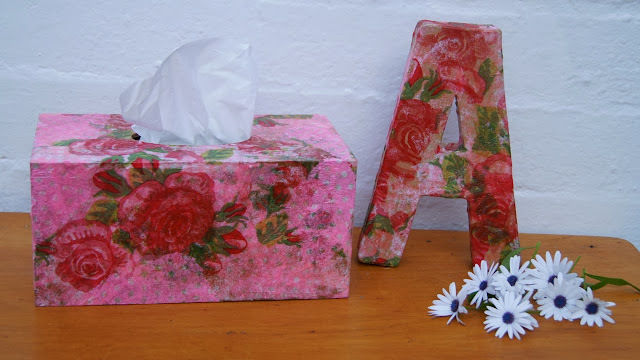 We used to do heaps of decoupage as kids. We would spend ALOT of time collecting and cutting images from magazines and then when we had enough -start pasting. Another idea is patchwork decoupage – using patterned paper in hexagons! Love that you are getting some quality crafternoons! Been awhile since I popped over. 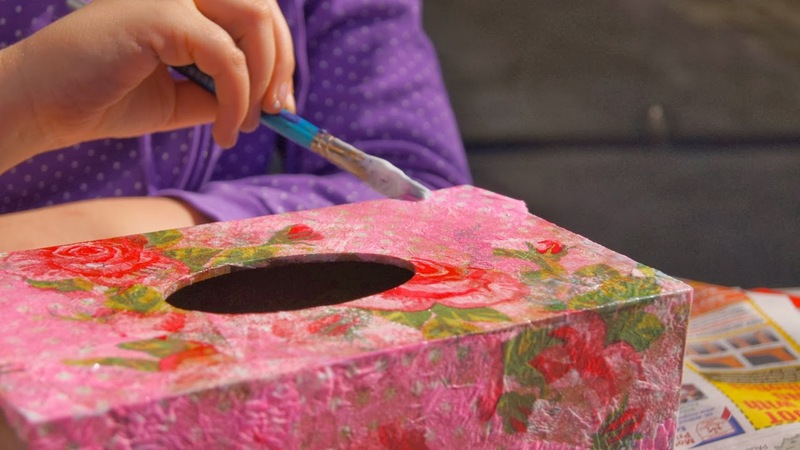 Goose has grown into a lovely young lady..<br />How nice to want to spend time crafting with you. Enjoy, they grow up so quickly.<br />Love the Tissue box and big &quot;A&quot;.<br />Well done Goose. My daughter is just like that too. She loves being creative. I love it too. 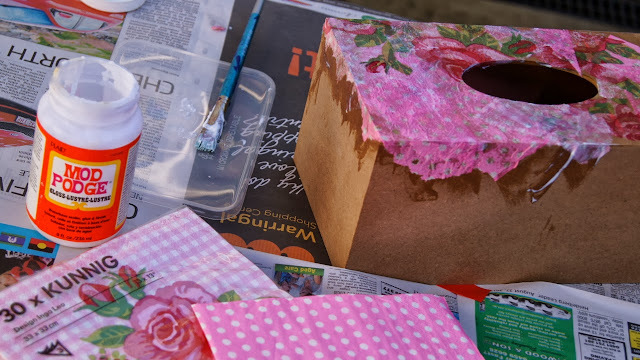 We have done a lot ad paper crafting, but not so much decoupage. Thanks for the inspiration. 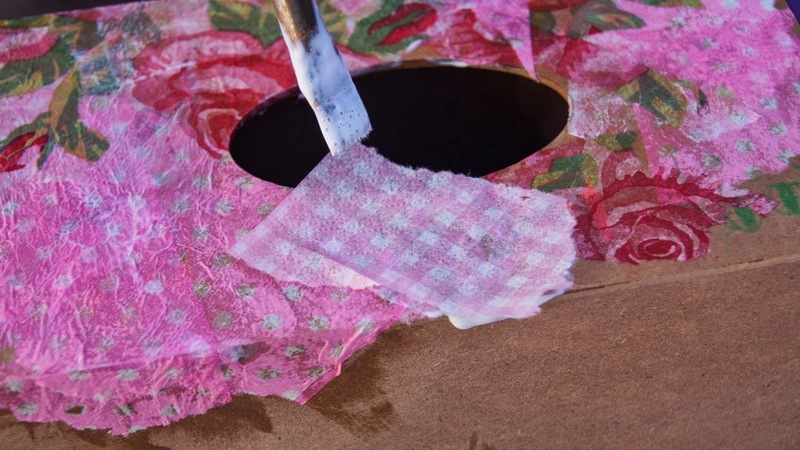 Gosh, this takes me back to the decoupage days of yore. I still have a beautiful box a housemate decorated, all spooky victoriana. Making stuff with your kids is a great way to do the special mamma time. Good on you.